ididit teams with Colorado builder on a Tri-Five for the ages. TECUMSEH, MICHIGAN: When an extraordinary build comes along, it’s celebrated for being greater than the sum of its parts. And when those parts start as quality components such as a steering column from ididit, the end result is destined to be remembered. Such is the case for the 1955 Chevy Sedan built by Matt Martinez in his three-bay garage in Thornton, Colorado. Inspired both by a 1956 Nomad featured in the Overhaulin’ booth at the 2007 SEMA Show and Martinez’ status as a family man, it was named Tri-Five of the Year at the 2017 Tri-Five Nationals in Bowling Green, Kentucky. Like most great projects, Martinez’ black beauty benefitted from a combination of fortuitous timing, assistance from friends and family, top-quality products, and lots of skill, inspiration and hard work behind the scenes. From discovering the body locally, to landing a smokin’ deal on an LS3 and 6-speed combo that only had 300 miles on it, to knowing just who to call for specialty work, Martinez’ Tri-Five project always seemed like it was just meant to be. Anyone who’s seen it in person will be quick to agree. ididit is proud that Martinez chose the company’s 1955-56 Chevy Paintable Tilt Floor shift column to pilot this award winner. 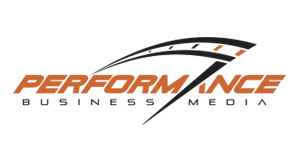 The company has been making the finest steering columns and related accessories for hot rod and muscle car enthusiasts for the past 30 years, working side-by-side with the local, grassroots builders who power this amazing industry. Martinez’ award-winning Chevy started with a chassis from Street Rod Garage while Martinez searched for a ’55 shell. A friend who converts right-hand drive G8 Utes from Australia to left hand drive for the U.S. market found the engine and transmission. After purchase, it was taken to Turnkey Engine Supply for a refresh including MAHLE 10.7:1 pistons, a COMP Cams cam, and Holley Terminator EFI assembly with a single-plane intake, jumping the horsepower from 430 to a dyno-tuned 540 hp. Wanting the car to be timeless, Martinez kept the plating to a minimum and dressed the engine in a huge, vintage-style air cleaner and ’57 Chevy script valve covers on adapters from Delmo’s Speed. Hedman Hedders and a Concept One front runner system were also added. Since everything Martinez owns is black, the color was a no-brainer. He’s also a fan of the clean and low-slung style of Bobby Alloway, so the body was dropped and smoothed by Steve Sheats Sr. and Jr. at True Colors Customs before the PPG paint was sprayed. Body mods were limited to shaving the door locks and restyling the bumper over-riders. Martinez scored a round of Salt Flats-inspired wheels from Budnik featuring three-bar knockoffs and hidden lug nuts. He also turned to Lee Bumgardner of Zoomers Automotive for help, including the trick exhaust system. Finally, the car was taken to Mark Lopez at Elegance Auto Interiors in Upland, California for a timeless leather treatment. Lopez added seats from a 1962 Impala and created a custom console. The dash was crowned with a matching ’62 Impala steering wheel and fitted with gauges from Redline Gauge Works. Lopez’ shop-neighbor Carlos Rodriguez at The Art of Sound masterfully added a premium 14-speaker sound system, neatly tucked out of sight and controlled by a stock-appearing radio. Back at home, Martinez says the car fought him nearly every step of the way, earning a few choice words and the unofficial nickname of Black Cat. But, the headaches were worth it and true testament to the determination of this hometown builder. Even his son Alek got in on the act, helping with much of the chassis assembly, installing the windows, and polishing countless stainless steel hardware pieces. The two worked side-by-side in their home garage in their spare time, only farming out things they couldn’t do themselves. 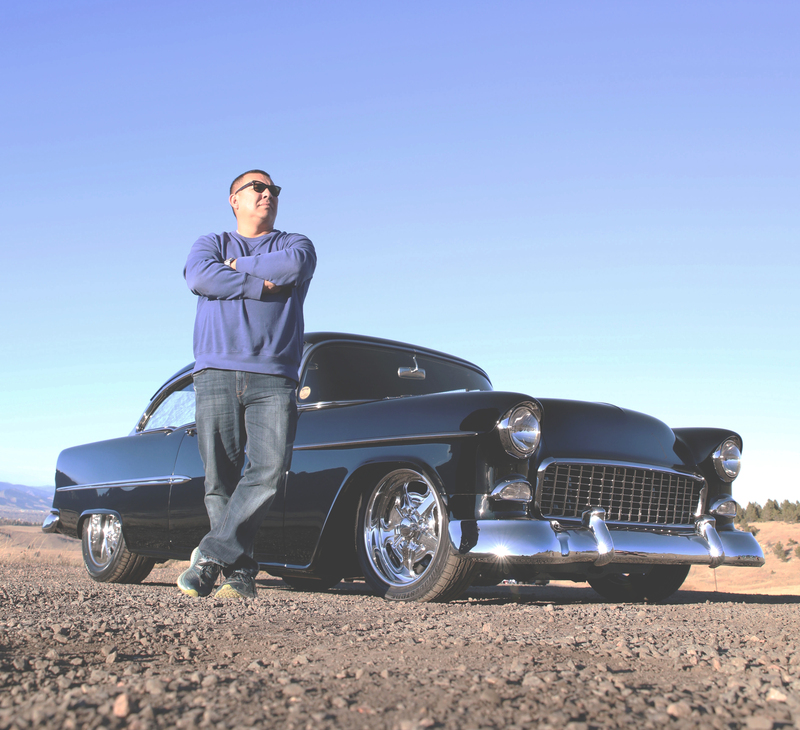 Martinez’ ’55 Chevy started as a passion project and turned in to a nationally-recognized build. The true backbone of the performance and aftermarket industry lives in stories like Martinez’, where every product is part of a greater vision to build not only a great vehicle, but mirror a piece of the builder’s identity. And with the help of companies like ididit, grassroots builders find partners and resources to help craft their masterpiece build with the best products on the market. Grassroots builders interested in using ididit products to help with projects and builds can visit www.performancebusinessmedia.com and fill out the Sponsorship Submission form.